Since the launch of FINCA Afghanistan in 2003, FINCA has expanded its presence to Jordan and Pakistan. Although it is the newest region, MESA is already reaching nearly 1 million families -- the most in our network. Subsidiaries in MESA also demonstrate how FINCA's mission can be adapted to diverse and challenging situations. FINCA Pakistan is quickly reaching massive scale and driving technological innovation. Next door, FINCA Afghanistan serves customers in one of the world's most challenging places. FINCA Jordan, meanwhile, is not only generating the highest job-creation impact among all FINCA's subsidiaries, but is also the global leader in female outreach. Pakistan and Afghanistan are two of the most financially excluded countries in the world. In the region overall, 82 percent of adults lack a basic bank account. The situation is worse for women. Our subsidiaries in Afghanistan and Jordan are working hard against the barriers that make it hard to reach female clients, with some extraordinary results. 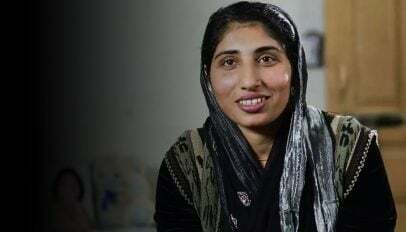 FINCA Jordan has achieved the highest rate of female outreach in the entire FINCA network, while Afghanistan has managed to build a mostly-female client base despite the severe social constraints that limit women's activities both at home and in public. Due to security and logistical challenges, most of MESA's borrowers are in urban areas. That could change, however, especially in Pakistan, where mobile banking services have been launched, offering a new channel for extending services across the country. Our clients in the MESA region struggle to meet basic needs, especially in Pakistan and Afghanistan. A third of households have no running water, even in urban areas. Population growth and urbanization are placing increasing strain on the infrastructure for basic services, so the problem is not going away anytime soon. Our borrowers in this region also struggle with low levels of education. Forty percent of them live in a household that is headed by someone with only a primary education or less. This problem perpetuates poverty across generations, especially in Afghanistan, where it affects 70 percent of all borrowers. The enterprise-level indicators in Pakistan and Jordan paint a picture of contrasts. Pakistan's clients run low-margin businesses (22 percent profit) in a range of sectors, but make intensive use of labor (2.7 per enterprise, including the owner). In Jordan, FINCA clients, who are mostly in the trading sector, operate smaller businesses (1.4 people per enterprise) but more profitable ones, with a 35 percent margin on their sales. The impact of FINCA's loans is also very different -- FINCA's clients attribute only 8 percent of the employment in their enterprises to FINCA in Pakistan, while the job-creation in Jordan is 68 percent, the highest in the FINCA network. The family situation of our female clients in MESA is very different than in other regions. Almost all of them are in two-parent households and very few of them are the principal source of income. While their income may be supplemental, however, it is no less important. Around the world, women have shown to spend most of their income on the well-being of their children. Also, the chance to run a business gives women an opportunity to interact with people outside their home, promoting greater autonomy and self-confidence. While the barriers to reaching women have been hard to overcome in Pakistan, FINCA's subsidiaries in Jordan and Afghanistan are implementing some successful strategies. FINCA Jordan has the highest rate of female outreach in the entire network. 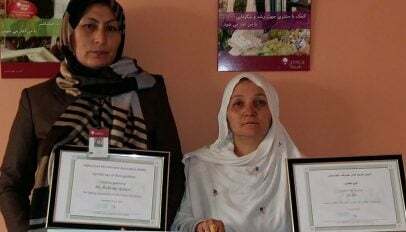 FINCA Afghanistan is piloting women-only branches to provide its female clients with a comfortable and socially-acceptable venue to obtain financial services. Our borrowers in the MESA region look to FINCA to help them with a range of goals. FINCA Pakistan has more borrowers who are using their loans to expand an existing business than any any other subsidiary in the whole network. While the majority of borrowers in Jordan are also expanding or starting a business, a significant portion of them are also working to improve their home or acquiring an asset, such as a car or a television, for their family.